VeloNews, ‘America’s leading bike racing media brand’, will publish USA Cycling’s official 2019 Season Guide in print, digital, and online formats. This collaboration begins with the January/February issue of VeloNews magazine, available on newsstands since January 8th. 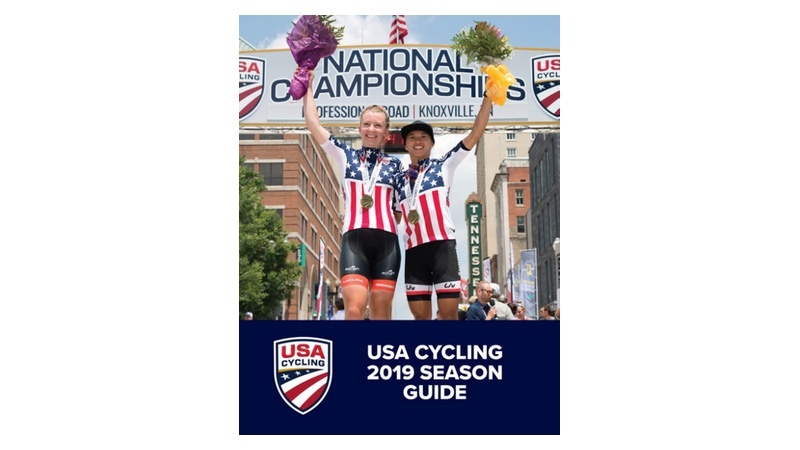 With this new guide, VeloNews notes that bike racing fans and riders will enjoy a single, convenient source of information for all USA Cycling’s 2019 events, from road racing to cyclocross to mountain biking. VeloNews has produced a 32-page USA Cycling 2019 Season Guide included in its January/February magazine issue as well as a digital edition and a section on velonews.com dedicated to the guide. Feature stories on iconic American cycling events. VeloNews will produce 50,000 standalone print copies of the guide for USA Cycling members, direct mail campaigns, and for membership premium offers. USA Cycling and VeloNews will offer bonus distribution of the guide at Sea Otter and the Bicycle Leadership Conference.